Nissan is a go-to brand for Nampa car shoppers in search of reliability, comfort, and fuel-efficiency. Here at Dennis Dillon Nissan, you’ll find a selection of 249 new Nissan cars, SUVs, and trucks, from the Nissan Rogue and Armada, to the Nissan Frontier and Titan. Whether you’re searching for a compact car for cruising around Meridian, or a utility vehicle for hauling equipment and materials, you’ll find what you need below. Contact us with any questions about our inventory of new Nissans, or to schedule a test drive in Boise, ID! 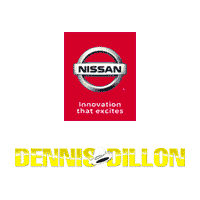 Why Buy a New Nissan from Dennis Dillon Nissan? Our vast inventory means we’re able to offer new vehicle specials, Nissan offers and incentives, and accessories specials drivers in Caldwell won’t want to miss! Additionally, we make it easy for you to estimate the worth of your current car, so you can put its value toward the purchase of a new Nissan.